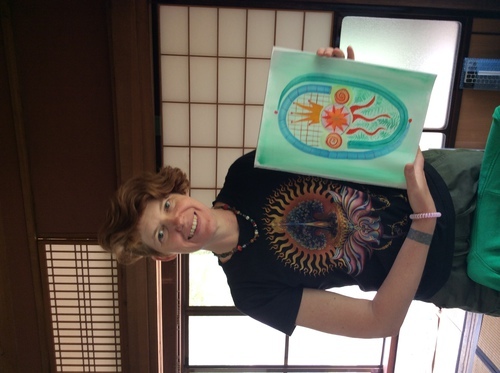 The Genesis Women's Art Retreat participants, aged 13 - 80, with art gifts. 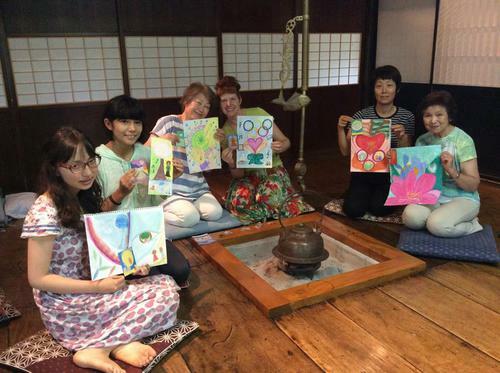 I spent a pleasant week at a farmhouse in the Japan Alps with Liane Wakabayashi and a group of artistic women that spanned three generations. 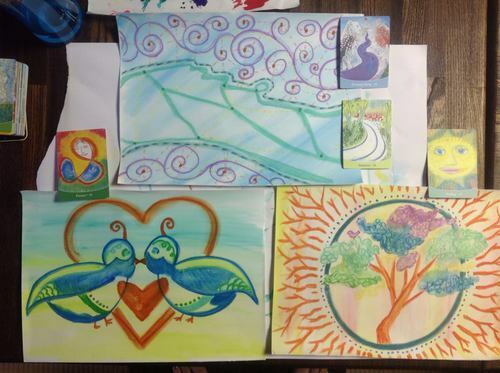 We gathered to create intuitive art using Liane's own Genesis cards. One question with three answers: If I spoke Japanese fluently, how would my life change? Intuitive art is not about creating Art, but about relaxing into the moment, finding answers to questions, and allowing your subconscious to have expression. The first day was very challenging as I put aside my own drawing style and picked up Liane's softer mediums and techniques. 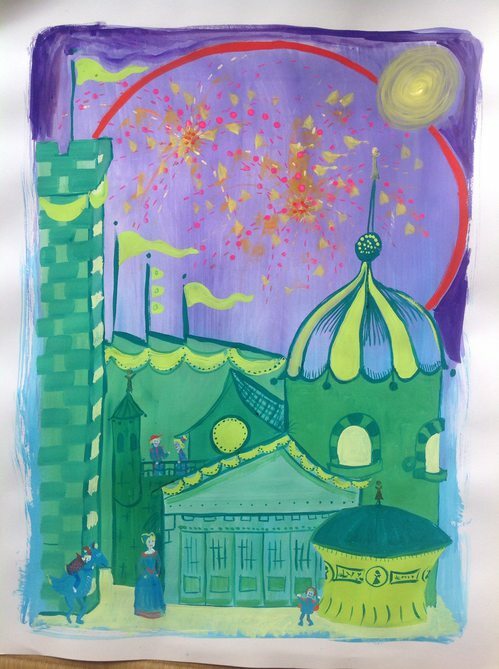 Once I let go of my need to draw my own way, I loosened up and had fun. The Genesis cards are a bit like a tarot deck. Each card has a beautiful painting full of colorful details as well as a title. There is a guide book to help you with meanings and ideas in each card. The cards can give insight into questions or help you to add elements to your own art to complete it. It is fun to compare your art to the card you selected, or to ask a question, choose cards and then combine their elements to create a visual answer to your question. Sometimes there are connections you don't even realise, like the design on my shirt reflected in the drawing I did above.